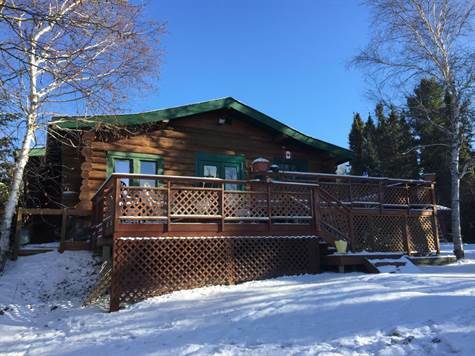 Walk into the Beauty of this Custom Built 3 Level Split Log Home on Abram Lake! Spacious Foyer with Walk-in Closet and French Door into Den. Second Level has Open Concept Kitchen, Dining Area and Living Room with Hardwood Floor and Garden Door onto Deck overlooking the Lake. MBR with Jetted Tub and Balcony - 2nd BR plus 4 PC Bath with Skylights!